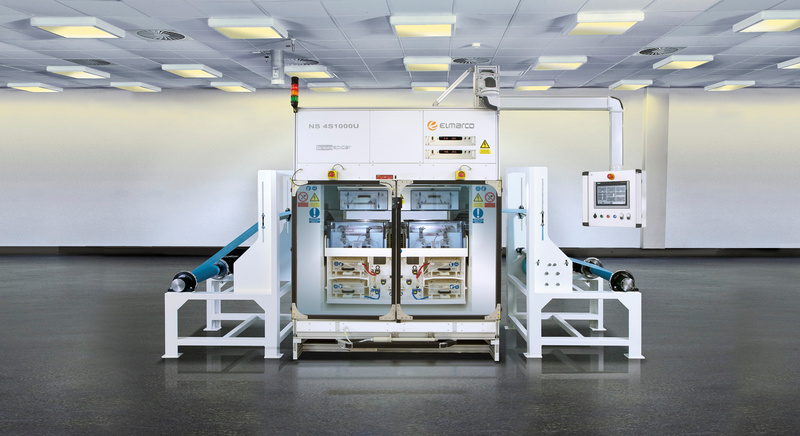 Elmarco′s NS 4S1000U allows roll-to-roll production of nanofibers on a semi-industrial scale. This nanofiber equipment is designed for those ready to scale up their process from a lab concept to high volume production. The Nanospider™ Production Line NS 4S1000U combines single electrospinning unit with external in-line peripherals, designed with 1 meter width and central control system. Ideal equipment for fine-tuning of entire manufacturing process, prior upscaling to full scale industrial production (NS 8S1600U).